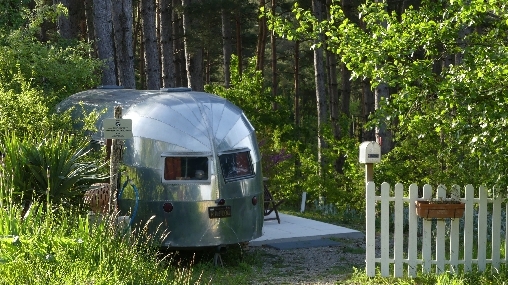 Welcome to Belrepayre Airstream & Retro. If nature and retro are what you like, you're on the right track! 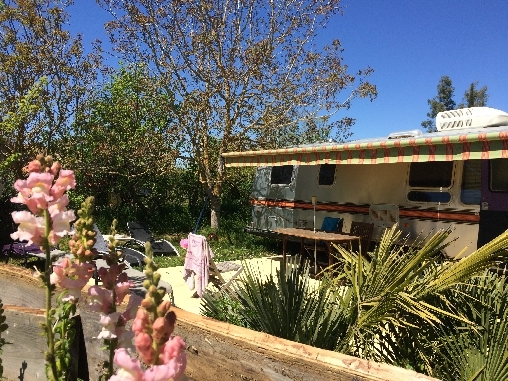 We offer 3 authentic vintage American caravans, Airstream 1982, Spartan 1947 and Curtis Wright 1949 for rent on site self catering, each is furnished with the colors and style of his time and each in a private landscaped garden. The Airstreams are arguably the best and most original caravan in the world, you've seen them in movies or on tv, much more than elegant silver tubes, the Airstreams have a stylish interior and amenities that make them legend, true bed and breakfast unusual and charms ideal for lovers of vintage and collectors. 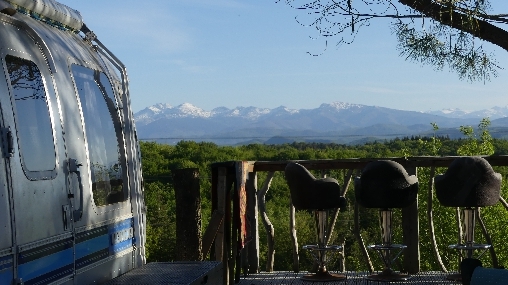 Belrepayre has a magnificent view of the Pyrenees, is near Mirepoix in Ariège, a medieval bastide between Carcassonne and Foix. 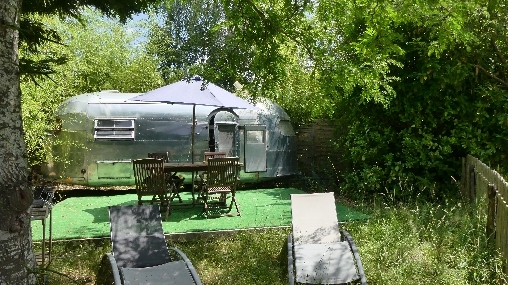 Belrepayre Airstream & Retro is isolated, so you will be quiet, no road noise. We are open from the weekend of May 1st to September 23rd. 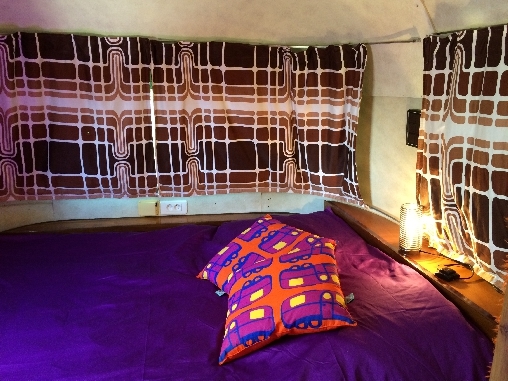 Rates are the same throughout the season, they vary according to the caravan and the length of stay. We have packages 2 nights or 5 nights. There is also a spa and grocery store on site. You can book directly online from our website www. 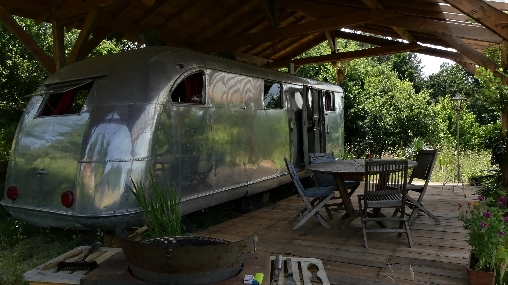 Airstreameurope. Com or by phone. 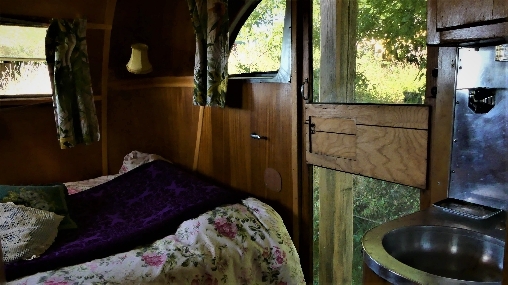 Our 3 guest rooms are actually authentic vintage American caravans, Airstream 1982, Spartan 1947 and Curtis Wright 1949. They are furnished according to the style and colors of their time. Each one has its own shaded garden with outdoor seating and sunbathing. Each has a small equipped kitchen. With or without bathroom (the oldest without a bathroom), do not worry the sanitary pavilion is never far away. On site too, a spa and a grocery store. Spa with a red cedar wood from Canada Hot tub. To know more about our place or the region do not hesitate to contact us. Click here to check the department’s weather forecast (Ariège). Temperature, rainfall, sunshine, wind, satellite image, etc.. Click here to learn about the features of this department’s climate. We'll give you a detailled map of acces as soon as booking done. Looking forward to welcoming you !